Porsche has released some new details about their Los Angeles Experience Center. The Los Angeles Experience Center is expected to open in late 2014. The track will have a modular design which will enable the company to create a variety of courses ranging from 0.5 to 2.0 miles (0.8 to 3.2 km). The company will also allow visitors to drive their own car on the track and then compare it to a Porsche. 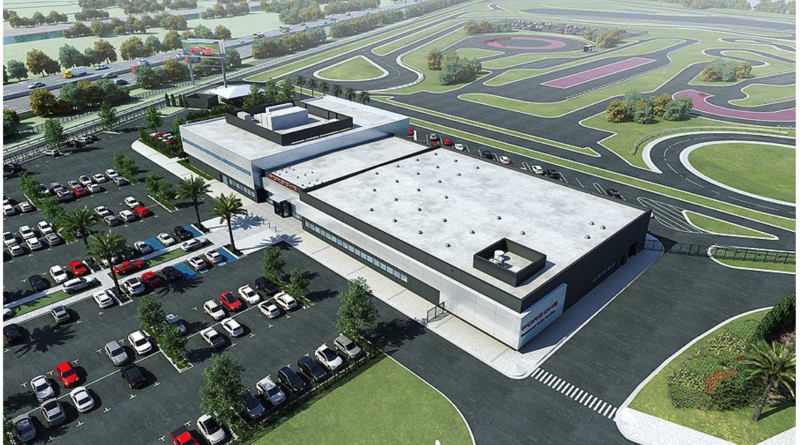 Besides the track, the complex will have a Human Performance Center that offers “customized programs to maximize personal fitness and wellness for race car drivers and endurance athletes.” There will also be a family-friendly cafe, an upscale restaurant and a conference center that can be used for business or motorsport events. The facility will also be the home to Porsche Motorsport North America and have a factory-backed maintenance and restoration area.